Why does google want to make a phone? Google has been making mobile phone operating systems for several years, its Android software powers the handsets of big phones from the Motorola Droid to the HTC Hero and has a growing cut of the phone software share. But it seemed that google just wanted to go one step further and get complete control of a phone by designing the hardware too. Perhaps to show off the All designed by Google, it was built by HTC. It’s not out yet of course, but leaks from Google employees suggest it will be super-fast (powered by a snapdragon processor) and integrate seamlessly with other google services like Gmail. Expect some great google android apps to come preloaded: google navigation, augmented reality app, Google Goggles with potentially a Spotify tie-in. 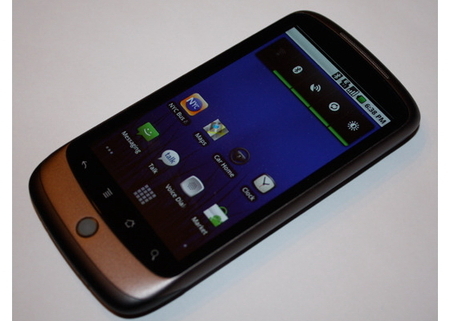 It will run the latest Android software (of course) Android 2.1. Physically it will be slim and light with a 5megapixel camera. Rumours from a French website suggest it will cost 450 euros unlocked in Europe. A lot of people get excited when google does anything. But despite the media storm, chances are this will just be another good Android phone, of which there are a few already: the HTC hero, the Motorola Milestone. We’re still waiting for the handset to actually appear of course, but we imagine it won’t be game-changing for the smart-phone market. Should other handset makers be worried? LG, Motorola etc all make phones that use Android, however the launch of the Nexus is more likely to raise the profile of the Google operating system than to make the major manufacturers lose much ground. No. not that sort of big question. To be sure together with your .Means similar to the an individual you actually stated in this article can be very necessary to me personally! Let me write-up a keyword rich link to the current website page in my small blog page. Almost certainly my very own targeted traffic just might discover which will extremely helpful.